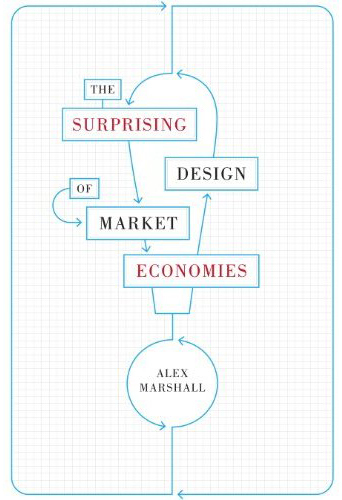 Alex Marshall, an award-winning journalist, is a Senior Fellow at Regional Plan Association in New York and is the author of the new book The Surprising Design of Market Economies. Times change and the language people speak change with them. The word “infrastructure” is bandied about a lot now, and the concept is a useful one. It’s generally used to describe the physical systems that hold us together and underlie our economy and ways of life. Believe it or not though, the word is a relatively new one, not being used much even among professionals before the 1980s, according to scholars. It was before that time a term mostly used by the military to describe essential installations. It gradually crept into first professional and then public discourse. As far as I can tell, we label as “infrastructure” the essential systems we do collectively, in common. It’s roads, bridges, water works and transit lines that are built and paid for by the public. Stepping back a bit, it’s also the private systems that are built with public help and oversight, particularly power and telephone lines. Stepping back a bit further, I think it’s fair to describe as “infrastructure” our educational systems and legal systems. These our essential systems as well that we do in common. And here’s the big rub: why not talk more openly about what is the proper and best design of all these essential infrastructure systems? Because they can vary. That’s what I do in this new book of mine, The Surprising Design of Market Economies, that came out in September. I talk about how all these essential systems were built up, and try to start a conversation about how we can build them differently. I talk about the interesting history of corporations and intellectual property, as well as transportation and many services we take utterly for granted, such as policing. Did you know that paid professional police forces were largely unknown in cities before about 1850? Adopting them was preceded by a long and healthy public debate as to whether they fit with a democracy. If you care about cities, or just about public life, it’s good to understand these essential systems, and to realize that the way we build them is up to us. I’m going to talk about my new book in San Jose at 6:30 pm, Nov. 27th at the urban planning group SPUR. Love to see you there. You can get information about it here. I’ve been talking about the ideas from my new book in several publications. You can read an op-ed I had about National Corporations in The New York Times, and one about public works in Bloomberg View, and another in Bloomberg View about why there’s no such thing as a free market.